Just a small post today, since I have a huge headache and have to travel 5 hours on a train to see my parents. 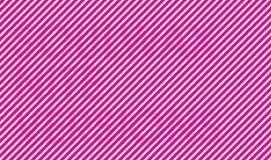 Soulwax are doing a thing in Copenhagen next week, for free! I urge everyone to go see them. The title of the events is Radio Soulwax presents Nite Versions Live, 2 Many DJ, so I assume that they are going to do a dj-set or something like that. Hopefully heavy on their actually briliant Nite Versions record that was released last year. The picture todays is the cover, looking at it doesn't exactly cure my headache - see if you can spot the title of the album. 02 Felix da Housecat "Silver Screen Shower Scene"
03 Bobby O "She has A Way"
04 Bobby O "Im so hot for you"
07 The Beatles "Sgt. pepper's lonely hearts club band"
10 Missy Elliott "Lick Shots"
13 The Jamie Starr Scenario "Welcome To The Light"
14 The Jacksons "State of Shock"
15 World's Famous Dj Team "Radio Promo"
17 Michael Jackson "Billie Jean"
18 Carlos Morgan "Shake Your Body Down"
19 Nasty Habits "Shadow Boxing"
20 B52's vs. Natural Born Chillers "Rock The Funky Beat"
22 David Bowie "Modern Love"
24 Hairy Diamond "Givin' Up"
25 Freelance Hellraiser "Stroke of genius"
27 Nas "Hate me now"
29 Marilyn Manson "The Beautiful People"
30 Janis Jay "Fly Too High"
31 The Spice Girls "Wannabee"
32 Girls On Top "We don't give a damn about our friends"
35 Breakestra "Cramp Your Style"
36 Hanayo "Joe le Taxi"
37 Klien & Mbo "Dirty Talk"
38 New Order "Blue Monday"/"The Beach"
39 Basement Jaxx "Jus 1 kiss"
40 Chemical Brothers "It Began in Afrika"
43 The Microbop Ensemble "Groove Baby"
44 Domino "Up the par"
47 Darkus "The Wisemen Speech"
48 Lazy Dogz "I Don't Care"
50 Paul Simon "Late in the Evening"
Sej side martin, men jeg keder mig temmelig meget i øjeblikket... Skal vi ikke drikke bajer i næste weekend? Hvad med en omgang axis & allies?